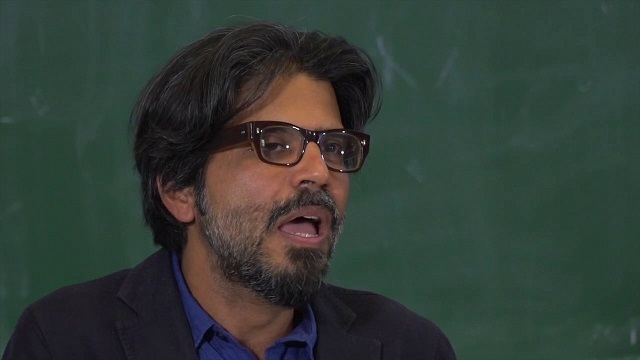 According to Indian writer Pankaj Mishra, the "religion" of "whiteness" is a "suicide cult" which is putting the world in "grave danger." 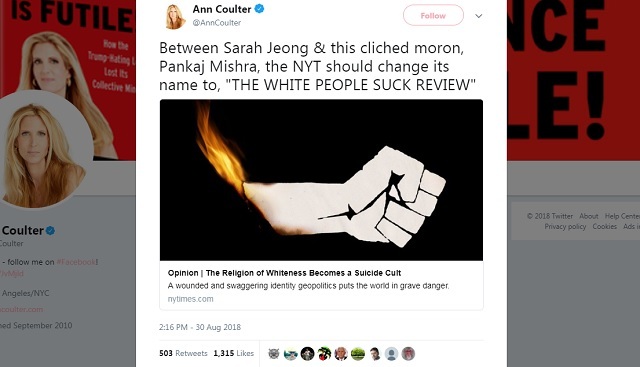 If you thought the Times might ease up on the anti-white racial hate after taking so much heat for hiring Sarah Jeong, this is as clear a message as you're going to get that they're instead going to go into overdrive. Just so we're clear here, Trump making one tweet about the large-scale killing of white farmers in South Africa is somehow beyond the pale, whereas Mishra spending all his time coming up with insane ramblings about how white people and "whiteness" are going to destroy the planet and kill everyone on it in a global race war is a perfectly reasonable critique!